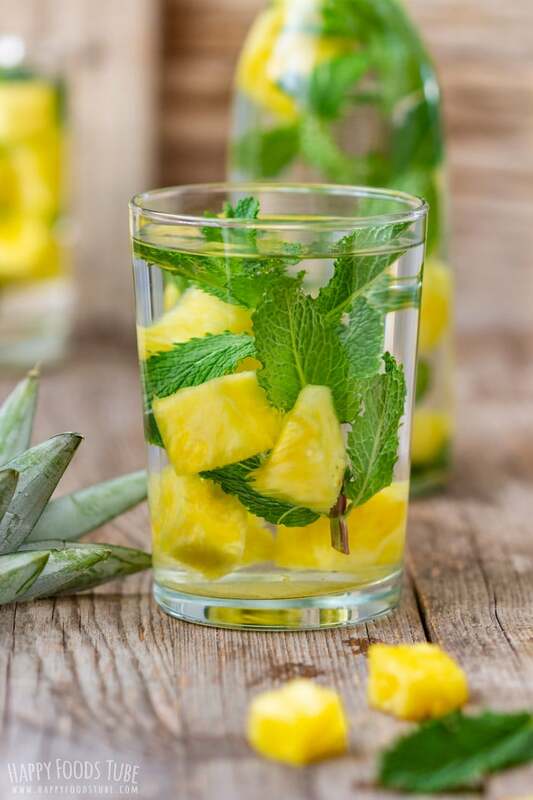 Mint and Pineapple Infused Water helps your body get rid of toxins and keeps your body hydrated throughout the day! This easy drink is also perfect for outdoor entertaining. Guys, if you haven’t tried adding some pineapple chunks to your water, then here is your chance. 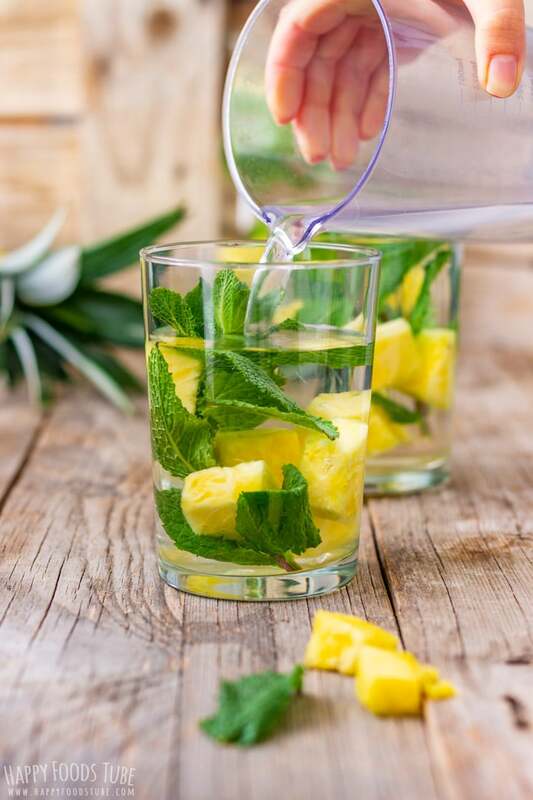 This lightly pineapple infused water is easy to make so everyone can do it! 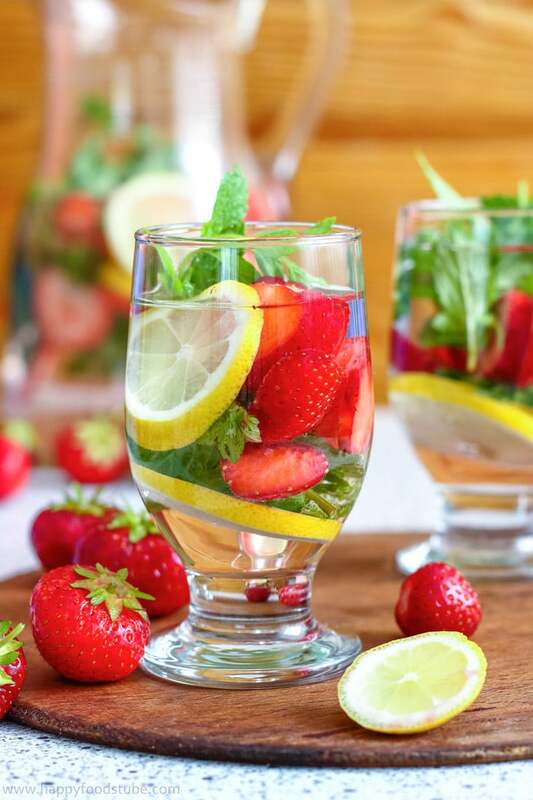 Who or what is infused water for? Infused water is a great choice for people who don’t like the taste of still water or anyone who likes flavored waters. 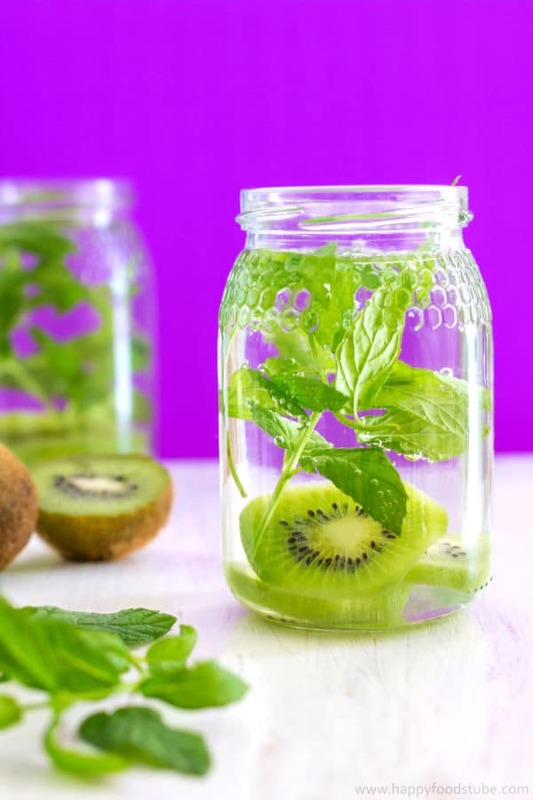 If you add your favorite fruits and herbs to the water and let it infuse for several hours (best overnight) you will be rewarded with a tasty lightly flavored drink like Orange Basil Infused Water or Kiwi Infused Water with Mint. Why is infused water good for you? These waters help cleanse your body from toxins (e.g. 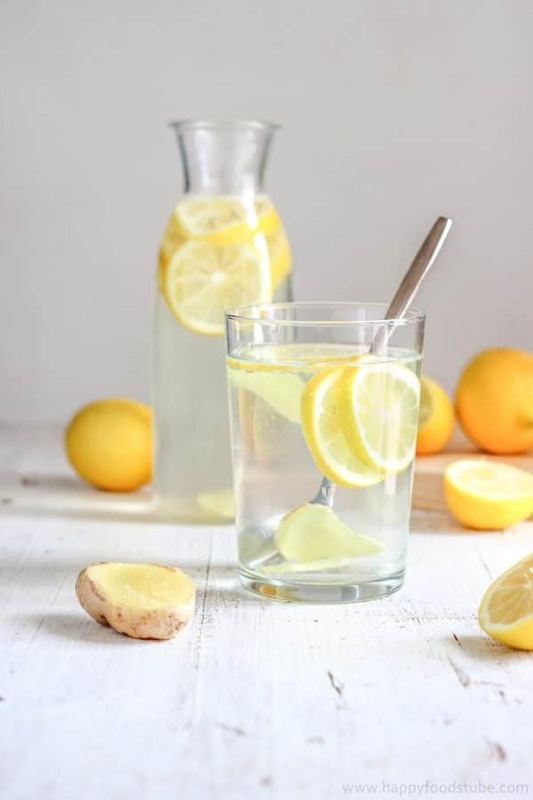 : Lemon Ginger Infused Water), keep you hydrated and most of all they contain only fresh ingredients and no preservatives which makes them extra healthy. Are you still wondering why to drink pineapple water? Well, it has anti-inflammatory as well as cleansing properties. This means that it helps your body get rid of toxins. 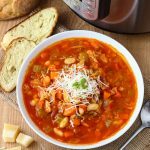 It also helps maintain healthy bones and teeth. And it’s a great drink for those who are on a diet as it’s low in calories and helps maintain electrolytes in balance. 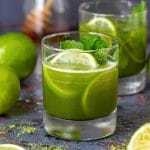 The added mint helps digestion and helps you deal with headaches. 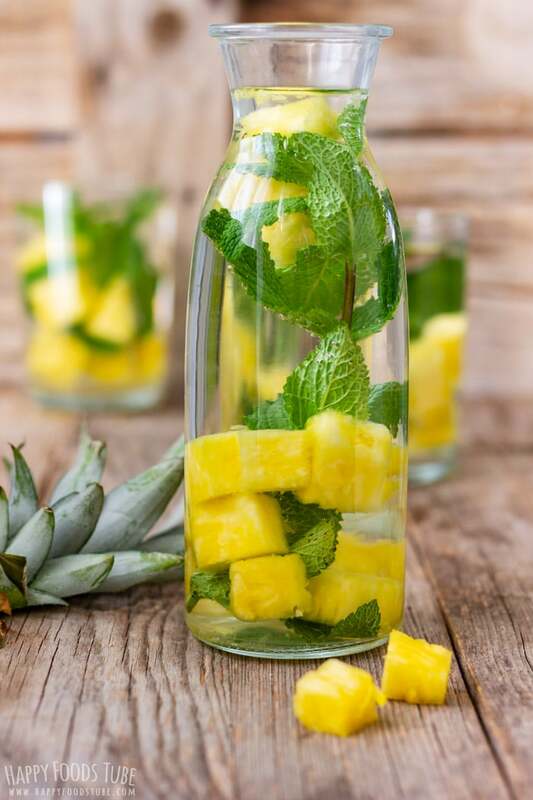 Simply cut the pineapple flesh into chunks and place them altogether with some fresh mint sprigs into a jug. If you don’t have a jug, use large jars instead. Now pour water in and cover with plastic wrap or with a lid. Place it in the fridge overnight. The following day just take it out and enjoy! 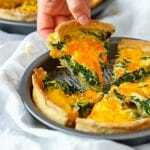 If you add some lemon slices you can also serve it at a picnic or barbecue. This depends on the type of fruit you use. Berries, like strawberries or raspberries go off faster than kiwi or oranges. Now this would also depend on how ripe each fruit is so it really is individual. Also if you don’t store the water in the fridge and you keep the fruits in, there is a higher chance it will go off quicker. Especially, during hot summer days. 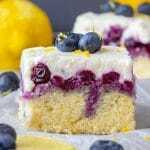 The best option is to infuse it for no longer than overnight and strain the fruits afterwards. Now that being said, refrigerated infused water can last up to 3 days but for best results always drink it as soon as possible. I highly recommend consuming pineapple infused water within a day for its health benefits. Just so you know: the mint can last up to 3 days in water. As for the pineapple, it will depend how ripe it is. 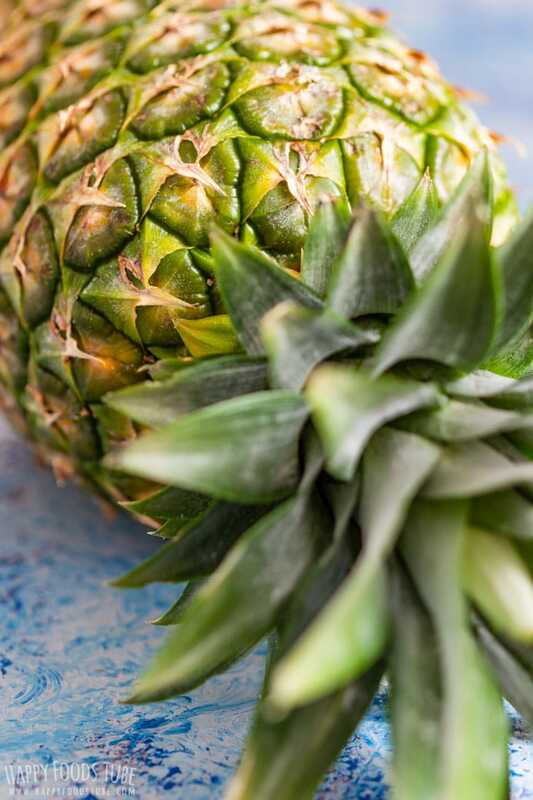 In general, very ripe pineapple chunks will last less than the ones that are not that ripe. P.S. 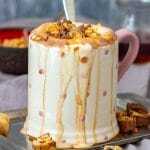 I have more flavored water ideas for you on my blog in Drinks section. Cut the pineapple in half and trim the thick skin. Dice the juicy flesh and throw it in a large jar, jug or a bottle with wide opening. Add a few mint sprigs and pour in water. 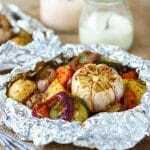 Cover with plastic wrap or lid and place in the fridge. Let it infuse overnight. The following day, strain the water and keep refrigerated. 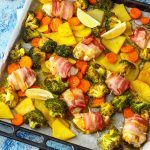 This recipe does not include time needed for infusing. It’s always good to taste the pineapple before infusing. Gone off fruit would only spoil your water. After you have infused the water, remove but don’t throw the pineapple pieces away. They are still OK to eat and contain a lot of fiber which helps you feel full longer. 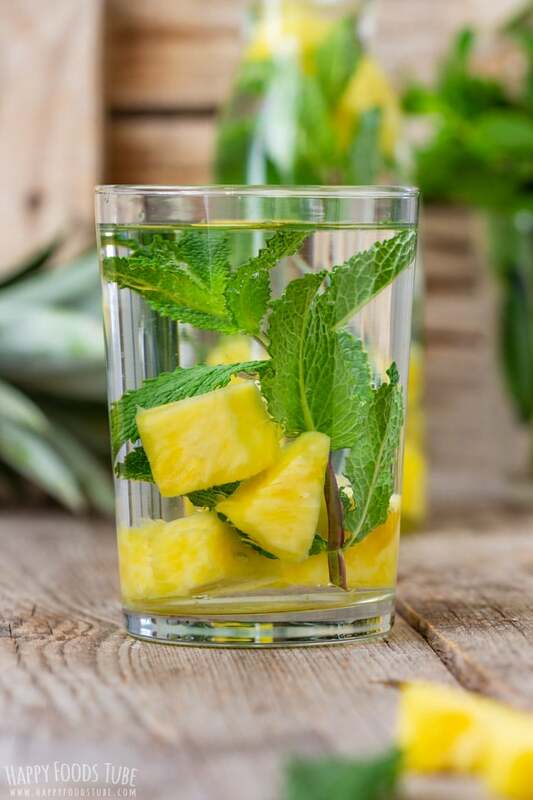 You can also leave the pineapple and mint in the water if you are planning on drinking it throughout the day. Add some lemon slices and serve at a picnic or barbecue! I highly recommend drinking the water as fresh as possible – to get the most health benefits as well as the freshest taste. LOVE this idea!! Pineapple is my fave and I’m always looking for ways to make my water more exciting so I’ll drink more! This sounds so refreshing. I’m a sucker for cucumber water, but I’ll have to give this a shot this summer! Glorious pictures, and just the perfect drink for the summer. Love this simple, yet fresh and beautiful idea! What a great idea! I’ve never actually tried making infused water but it sounds like the perfect summer drink and with such great added health benefits no reason not to try. I make infuse waters a lot especially in summer. Drinking them is way tastier than drinking still water :) Hope you give it a go! I never drink enough water! 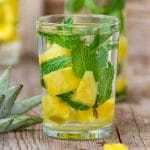 I like to infuse water in a large water dispenser, and this recipe with pineapple and mint looks so refreshing! In the nutrition facts is those calories including eating the fruit? Or just whats in the water. Seems like a lot of calories for just the water so wanted to verify. Hi Larissa, thanks for your comment. The nutritional information provided are only a guideline. Unfortunately, they are provided by a third party calculator that does not always get everything right. I am guessing that the whole pineapple (including the skin) was used to calculate the amount of calories. Now after double-checking I can tell you that a cup of diced pineapple chunks contains about 88 calories. So if you are making your water, you can bear that in mind. Also it depends whether you are going to eat the chunks or not. If not, then the amount of calories you get to your body is close to 0. I hope this helps.